If you are starting your Keto Journey, you probably have a million questions. The best way to start your Keto Journey is to take it slowly. You don’t need to know everything from day one. 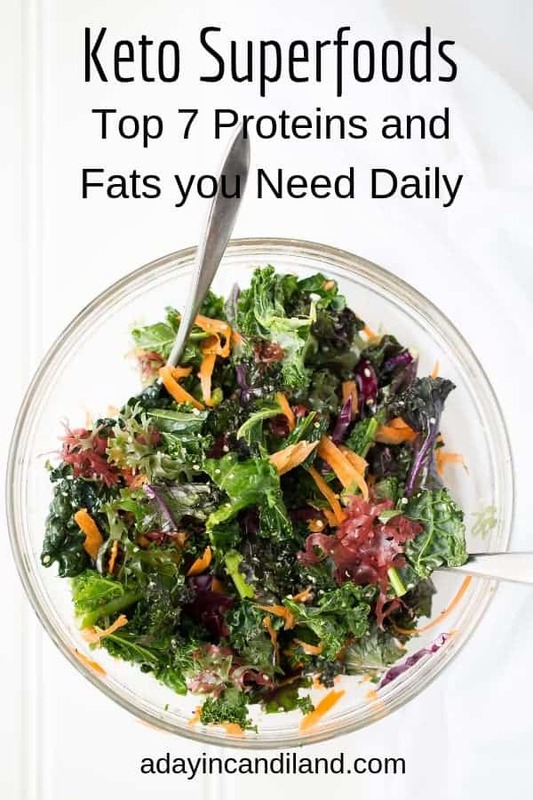 Today I am going to show you the best superfoods and fats you need to know about that will make your experience easier and successful. First I am not a Doctor. I am going on my experience and from talking to nutritionists and studying what I can online. So let’s get started on some of the Best Superfoods you should be incorporating. Avocados are a true superfood for good essential fats. 1 Avocado has approximately 240 calories. 12 carbs and 3 grams of protein. A typical serving size is 1/3 of a medium avocado. It is a heart-healthy fruit. It contains good fats and is a great option for babies first fruit. You can consume this superfood daily. You can eat it by itself. Make a smoothie out of it. Use it as a shell for chicken salad or taco salads. I generally eat 1/2 of an avocado daily. I usually have to pick up a few in between grocery visits. Greens like spinach and kale are great superfoods. They are low in carbs, help keep you regular and have lots of vitamins in them. Use them in your smoothies with almond milk or coconut milk and a little stevia or frozen berries. Add some MCT oil for healthy fats. Bone Broth is one of those miracle foods. It has lots of collagen in it. Great for puffy skin, hair loss, alleviate joint pain, helps leaky gut, builds your immune system, and helps you lose weight. Drink 1/2 cup daily with only 22 calories. Make sure you are getting bone broth in the store. The ingredients should say made from bones. Do not confuse with stock. You can make your own or purchase. You can add a little Pink salt, MCT Oil, butter and garlic for taste. MCT’s are a unique type of fatty acid found in coconut oil that is a much faster source of energy than most longer chain fatty acids. MCTs support mental clarity and sharpness so many people take these for a mental boost. These are your fast, and lasting (non-stimulant) energy boost. MCT comes in Oil or Powder form. It is flavorless or you can buy flavored and use in coffee, or as a salad dressing with some lemon and Pink Salt. You can find flavors and MCT products here. You can buy Kerrygold Grassfed Unsalted Butter preferably or Plain Unsalted Butter. Never Margarine. You can fry your eggs in butter, use it in fat bombs, and in your Bulletproof Coffee. It is medium chain triglycerides with prevents weight gain more than long chain such as vegetable oils. A staple in Keto. Use in your coffee, fat bombs, to cook with. Keep it on hand you will use this product every day in the Keto Lifestyle. One of the best proteins in the Keto lifestyle. I hardboil in my Instant Pot 6 eggs at a time and replace as needed. If you have more people eating Keto than double the recipe. I eat them in salads, as a snack and fry eggs in butter daily. Here is a great breakfast recipe featuring egg muffins. 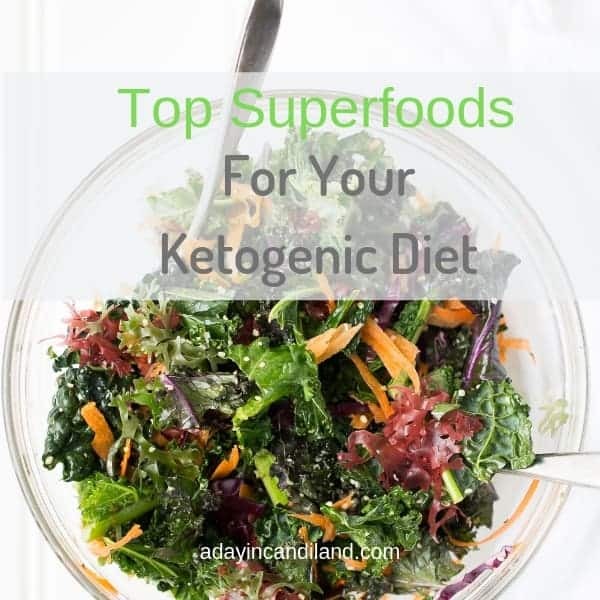 There is a lot to learn about the Ketogenic Lifestyle but found it was much easier than I thought when I started. Having these items on hand before you start will make it easier to continue. Make sure you are drinking 1/2 your weight in ounces of Water daily. Add a little Pink Salt and Lemon to give you Electrolytes or Apple Cider Vinegar. This will keep your muscles from cramping and keep you fuller in between meals. Looking for a great Keto easy dinner? One Skillet Chicken Mozzarella.